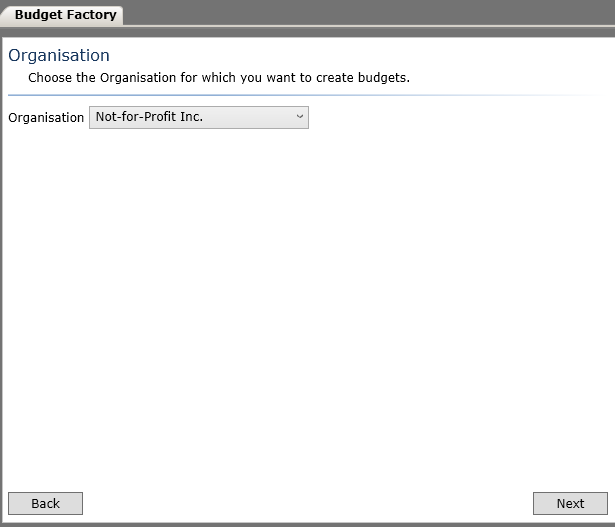 The Calxa Budget Factory allows you to quickly and easily create budgets for multiple business units. It can be used in many ways, with actuals or budgets from the current or previous years as a basis for your calculation. 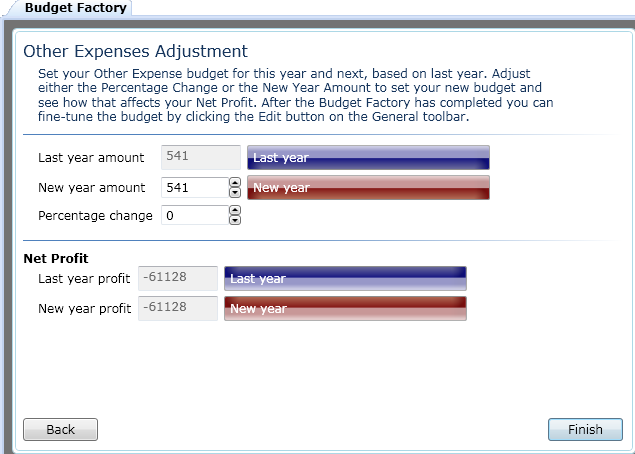 With this flexibility you can use it to create new budgets or just as a tool for copying budgets between years or budget versions. Note: In most cases it is not necessary to select the Organisation name as well as business units. If your organisation budget is always a consolidation of business units you do not need to maintain an organisation budget. For further explanation please refer to the help note article – Understanding Business Units and Budget Versions. Select the financial year that you want to base your budgets on. 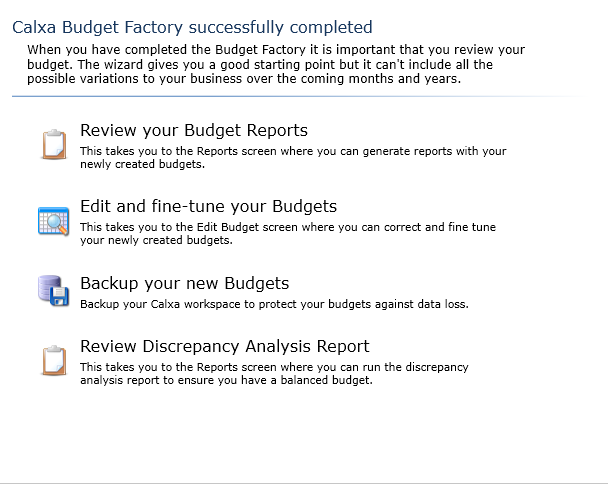 Select whether you want to base your budgets on actual data or a budget version. 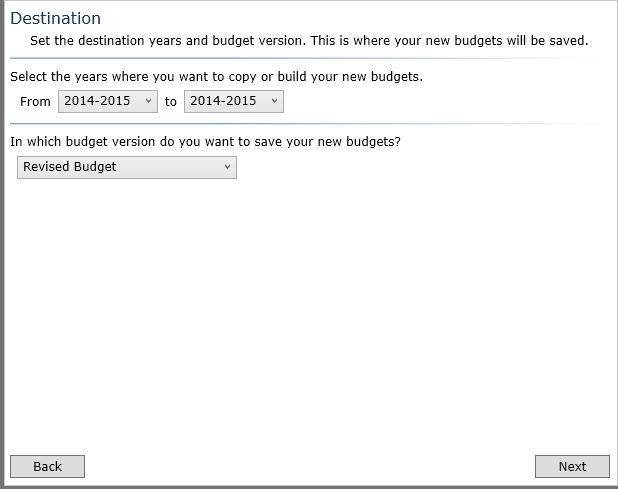 If you select budget version, use the drop-down list to select the relevant budget version. 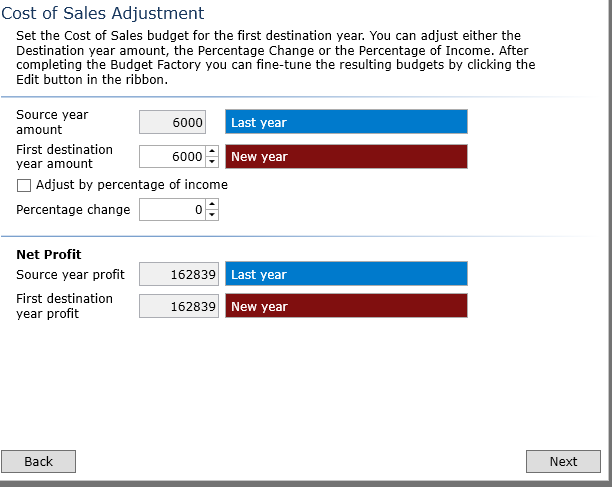 Select whether you want to create a Profit and Loss or Balance Sheet budget. 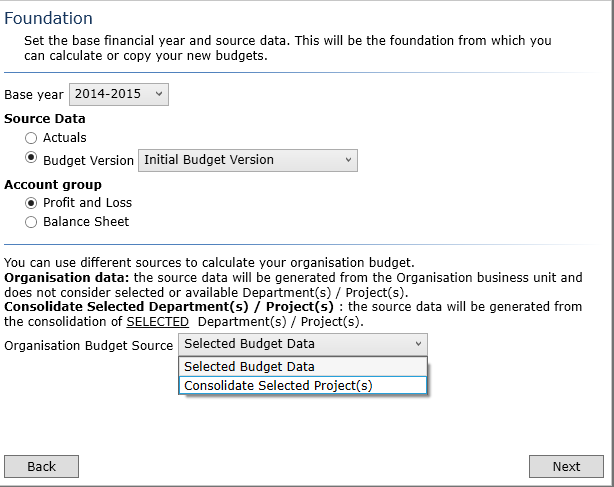 If you opt to create a budget for your organisation, but did not opt to create budgets for your business units, you will be given the option to create the organisation level budget either from the organisation (Selected Budget Data) or by consolidating all business units (Consolidate All Project(s)). 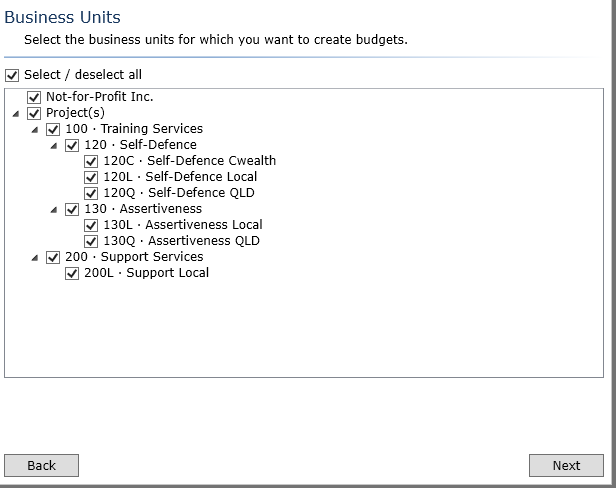 If you opt to create a budget for your organisation as well as your selected business units, you will be given the option to create the organisation level budget either from the organisation (Selected Budget Data) or by consolidating the business units you selected in the previous screen (Consolidate Selected Project(s)). 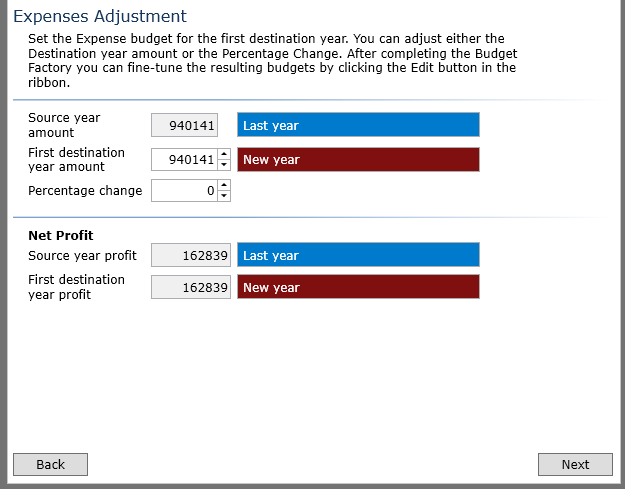 Specify the years you want to create your budgets for. Note: You may choose the same year as the source to quickly copy budget data across budget versions. 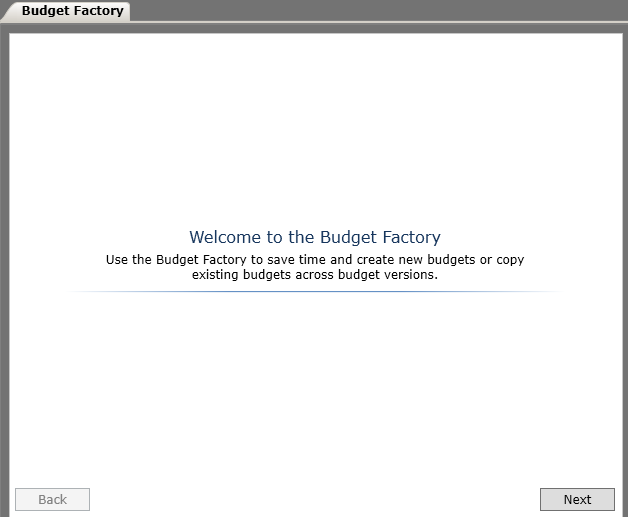 Select the budget version that you want to apply the budgets to. Note: The destination may be the same as the source. This can be a quick way to do an overall percentage increase/decrease on a budget. 7. 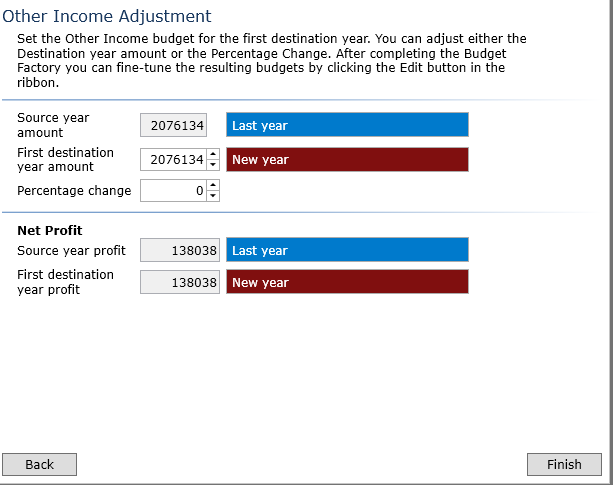 Adjust your Income by selecting a percentage change or typing in a new annual amount. Note: A negative percentage change will reduce your new annual amount. 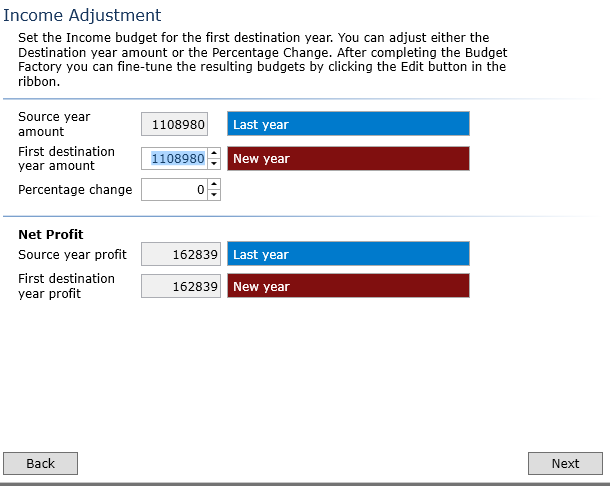 Where multiple years are in the destination the percentage change option will compound the percentage change each year. If however you choose to adjust as a percentage of income, the cost of sales for each year will be calculated as the percentage of income budgeted for that year.